An advance Razzle Dazzle thank you! 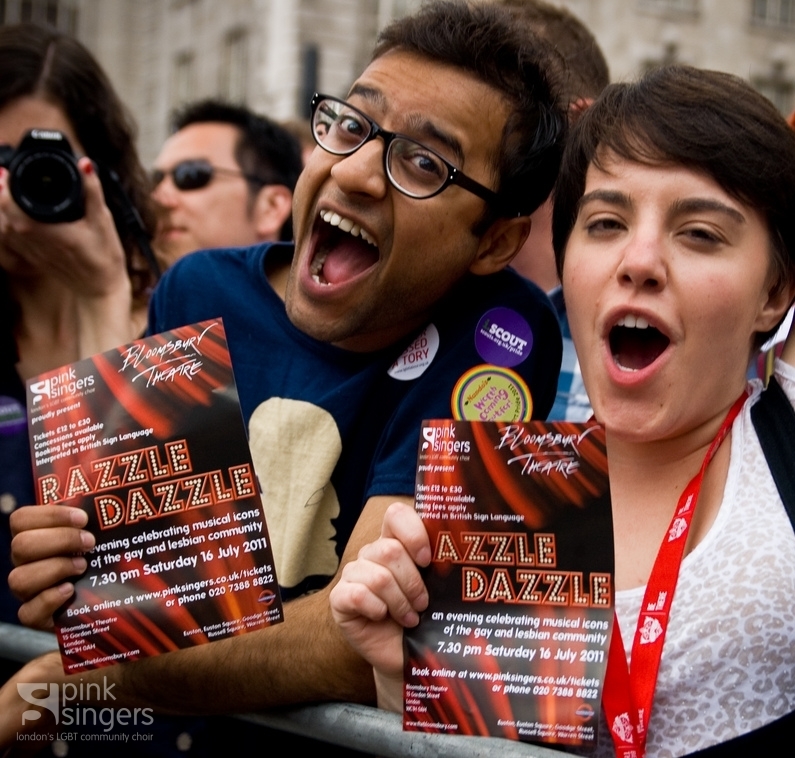 With just two weeks to go till Razzle Dazzle, marching at Pride London was in many ways an extra special rehearsal. We were really impressed by the people we met on the march and how friendly everyone was. This particular couple caught our eye, and for being such good sports, we want to offer them complimentary tickets to come see our show. Do you know who they are? If so, please let them know and ask them to contact us on news@pinksingers.co.uk. We hope they are free on 16 July 2011! Next Next post: The Pinkies’ dazzling post-show party!